Even though it is 75 degrees outside and we all wear shorts and flip flops, the holidays are alive and well in Miami. The lights, decorations and general spirit of everyone around show that it is the most magical time of the year. As the season kicks in, following are a few of our favorite events for anyone who is wondering what to do during the holidays in Miami. Even though it opened at the end of October, Santa's Enchanted Forest is the holidays maxxed out. As the world’s largest Christmas theme park, there are lights everywhere, over 100 rides, shows, games and attractions – let’s not forget South Florida’s tallest Christmas tree. This is a place where people come from all over the state and elsewhere to take in -- one of those places that you have to see to believe. Open daily from 5pm to midnight (it has to be dark to see all the lights), tickets are $19.63 for kids age 3-9 and seniors 65+, and $28.97 for Adults age 10-64. Now, if you think you might go more than once it is worth looking into a season pass with prices at $49.53 for ages 10-64 and $39.25 for kids 3-9 and seniors. Season pass holders do not have to wait in line which makes it worth every penny. Parking is free. For more information, call (305) 893-0090. Next Friday is the official kick-off of the holiday season in Downtown Miami. With Biscayne Bay as the backdrop, nothing is as beautiful as the huge tree when the lights come on for the first time. This free event is fun for the whole family and the perfect way to enjoy some true holiday spirit. The Food Truck Invasion will be on site starting at 5pm with some of our favorite food trucks including Main Stop Grill, Miami Pizza Truck, Sweet Sensations, Burger and Beer Joint and more. The tree lighting is at 7pm so make sure to be there on time to watch the twinkling lights shine out over the bay while enjoying everyone’s favorite holiday songs. One of the most awesome sights is watching the boats travel along Biscayne Bay during the annual Miami Outboard Club’s Holiday Boat Parade. 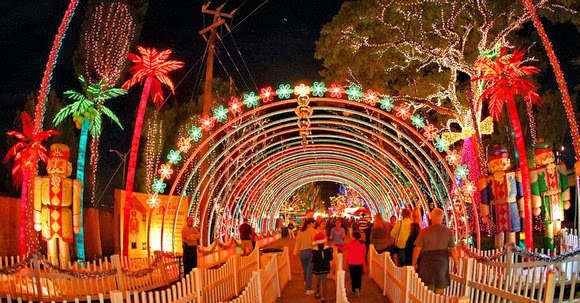 We may not have snow in Miami but who wants it when you can have this magnificent display of lights! 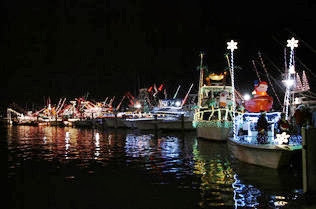 Boats of all sizes are decorated with colorful lights and decorations in a holiday theme that is so much fun to see. The food trucks are set up with their food and drinks, and there is music, kids’ activities and to cap the evening off, a large fireworks display. Yes, in Miami, we shoot off fireworks for most every major holiday. This event is a spectacular showcase of holiday spirit and definitely one of our favorite holiday events. What would the holidays be without seeing The Nutcracker? This is the ultimate holiday tradition and the performance by the Miami City Ballet is unbelievable. From the grace and flow of classical ballet to the beautiful costumes and excitement of the story itself, this is always a must-see every year. And, seeing it at the Center for the Performing Arts takes it to the next level. Downtown and the surrounding neighborhoods (Brickell, the Design District and others) are all about excitement and activity. The Nutcracker is sure to please. Ticket prices for the performance range from $25 to $79 and are available online. The best part about Miami City Ballet’s Nutcracker is that if you cannot make it to one of the performances in Miami, you have several other chances to see it either in West Palm Beach at the Kravis Center for the Performing Arts or at the Broward Center for the Performing Arts in Fort Lauderdale during the couple of weeks after Christmas. While these are the most popular things to do at this time of year, there are many more holiday events in the neighborhoods throughout Miami and the surrounding areas. Even though it is warm outside, it is still easy to get into the holiday spirit with all of these holiday activities. We just get to wear shorts and flip flops! Trust us – it is a lot better this way!